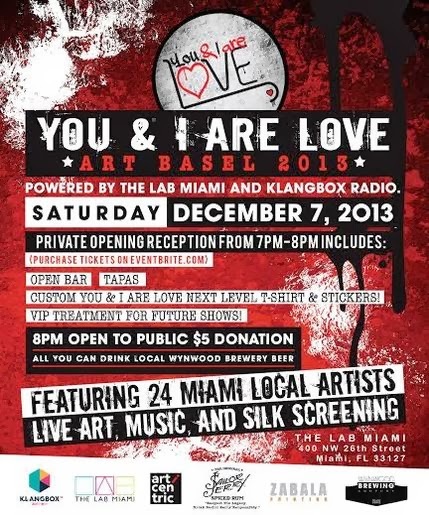 On December 7, 2o13 the organization known as You And I Are Love will be holding a pop-up mini art fair during Art Basel Miami at The Lab in the Wynwood Arts District. The event will include an exhibition of 24 local emerging artists, 8 artists painting live, live musical performances - a mix of visual artists, performance artists, photographers, fine artists, street artists, art installments and sculpture. 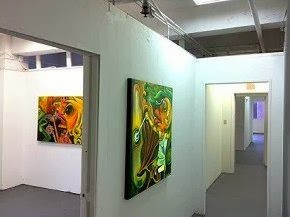 You And I Are Love is known as "The Independent Art Movement", it is a non-profit organization catering to the art community by providing a platform for Miami's local artists to exhibit and sell their work at no cost. 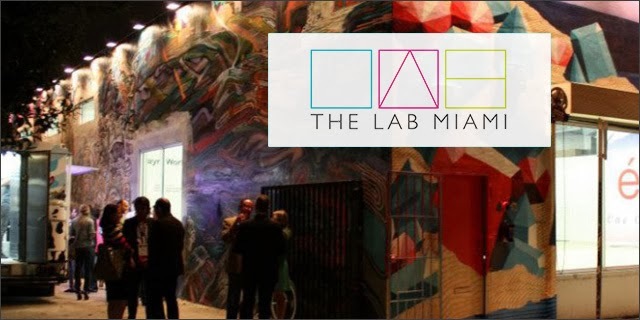 Join us at The Lab Miami for the You And I Are Love pop-up mini Art Fair and Art Basel Party on Saturday, Dec. 7, 2o14 at 7pm. 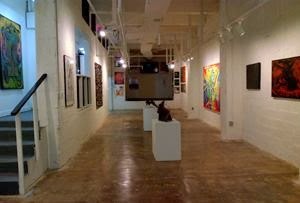 in the heart of Wynwood at 4oo NW 26th Street in Miami, FL 33127. The exclusive VIP Cocktail Reception is available to ticket holders from 7-8pm, which includes an Open Bar with Sailor Jerry's handcrafted cocktails, wine by Constellation Brands, tapas by Prestige Catering, Bunny Cakes cupcakes, PopNature Organic popsicles and You And I Are Love merchandise. Tickets are $45 each and can be purchased at the door or online via Eventbrite: 'You And I Are Love' Art Basel Party. A portion of the proceeds go to You And I Are Love's fiscal sponsor, Rise Up Gallery - a collection of artwork created by artists with disabilities. After the VIP Cocktail Reception, the party continues for guests and the public to enjoy all-you-can-drink beer from our local brewery Wynwood Brewing Company. The mini art fair will be on in full effect for patrons to explore Miami's local talent - this is without a doubt the hottest party in Wynwood during Art Week. Miami Art Scene caught up with New York-based multi-media artist, musician and Dj Ben Moon, who was selected to be part of a special exhibit presented by SCOPE at Art Basel Miami Beach. 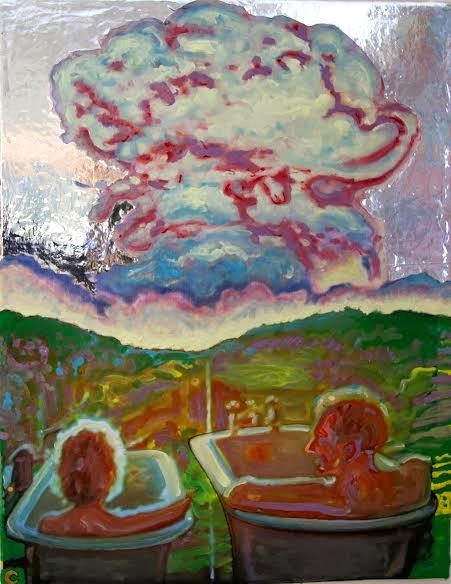 Moon's original painting titled 'Artist and Model 2' will be on display exclusively at SCOPE's fourth annual installment of 'Art Takes Miami' from Dec.3-8, 2o13 at the new SCOPE location on the sands of Miami Beach. The Scope Pavilion will feature an outdoor beach lounge and stunning views of the ocean, nestled amidst the iconic architecture of Ocean Drive and 10th Street in the heart of South Beach. 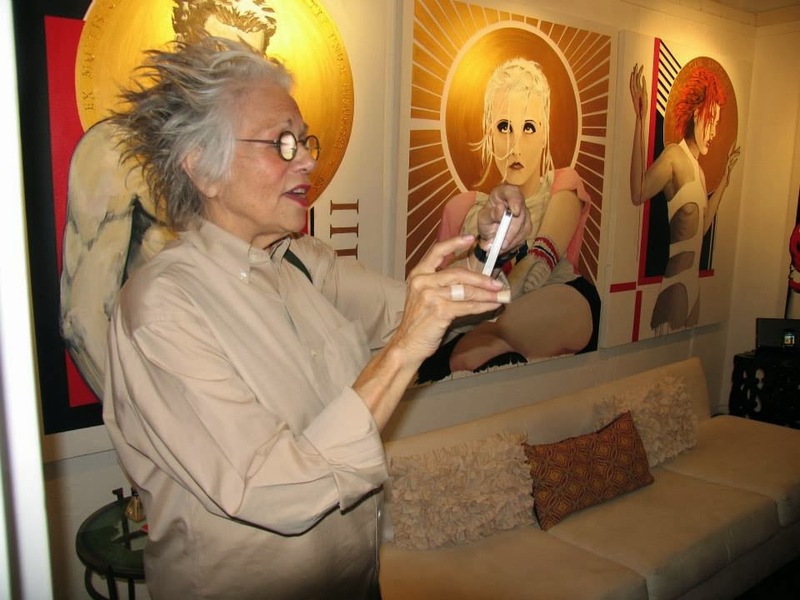 Miami Art Scene interviewed the brilliant artist and we can't wait to share the scoop! 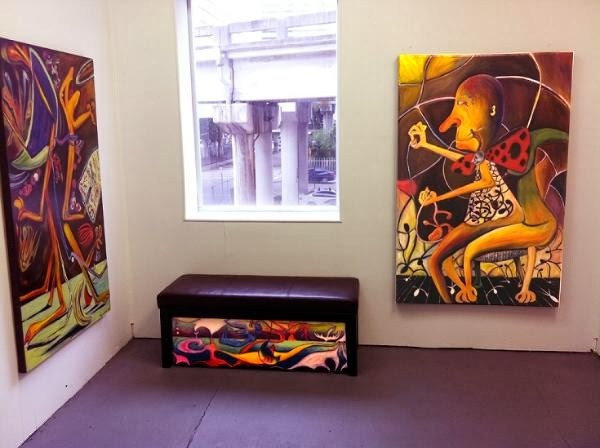 MIAMI ART SCENE: Can you tell us about your original painting 'Artist and Model 2' that will be on display at the Scope Art Show's fourth annual installment of 'Art Takes Miami' from Dec.3-8, 2o13? BEN MOON: Artist and Model 2 is one of the last in a series of paintings dealing with the way traditional archetypes such as the "artist and model" are so deeply ingrained in our notions of art and culture, that whether we choose to accept or reject them, their familiarity becomes the jumping off point for a dialogue. I did the first ones in a very realistic style, portraying myself, "the artist", as well as the "models", in ways which make specific references to similarly themed paintings throughout art history. As the viewer observes the obvious absurdity of the construction, when placed in a modern day context - the next logical leap one might make is to begin to consider whether these archetypes were ever any less arbitrary and "fabricated" - and it is merely our consciousness which has evolved over time. 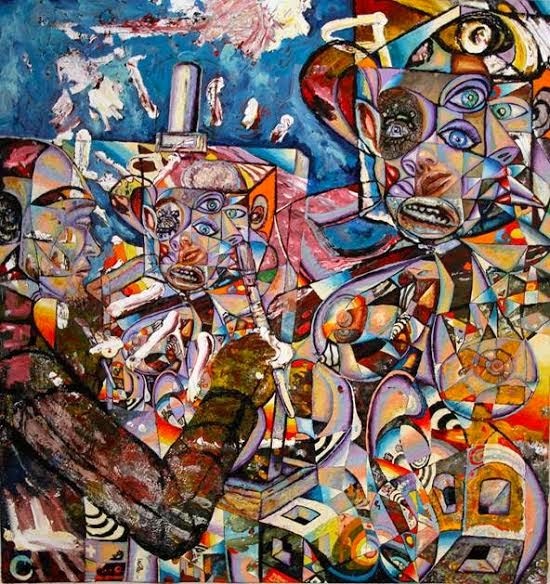 As the series continued, the realistic depictions began to give way to the more visceral deconstructed treatment you see in 'Artist and Model 2', almost as a visual representation of the crumbling away of these very constructions that have held everything together for so long. It's like this apprehension, as we sense something more primitive and savage that has been there all along, lurking just beneath the surface. I tried to capture that tension I think we all feel in the world right now. 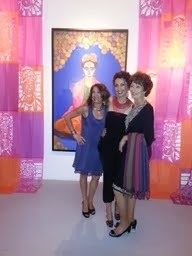 MIAMI ART SCENE: How were you selected to be part of this special exhibit with Scope at Art Basel Miami Beach 2o13? BEN MOON: I was involved in a very cool exhibition earlier in the year put on by the 'See.Me' Art Group, who are also the organizers of 'Art Takes Miami'. I was really impressed by what they did, creating a "mobile" exhibition during which the artwork was projected at various sites around New York City. Including Madison Square Garden, Radio City Music Hall, MoMA, the Guggenheim, and Gagosian Gallery. Since then our relationship has steadily grown, and I was lucky enough to get the opportunity to have my work in 'Art Takes Miami'. 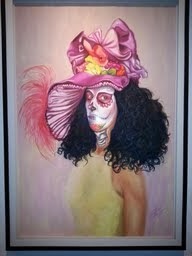 MIAMI ART SCENE: What was your inspiration for this painting? BEN MOON: From the earliest time I can remember, the human form, or more specifically its relationship to the environment around it has always interested me as an artist. I recently found this old portfolio my Mother had saved, full of all these drawings I did when I was only a few years old. It was such an epiphany to see that at 3-years-old, I had already began my life's work. I knew it back then. But somehow life has a way of making us veer off course, and trade what really matters to us, for some false promise of stability that's always right around the corner. In my case it took something really radical to wake me up. 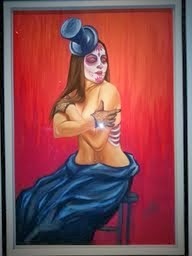 MIAMI ART SCENE: When did you decide to pursue a career in the arts and what was the path to get to this point like? BEN MOON: Although creating art and music were all I ever truly cared about, I was actually considering entering the business school at Tulane University, because that was what everyone said I should do. In my heart I knew it wasn't my true path, but I convinced myself that this is what it meant to "grow up" and be practical. I thought I was planning for the future, but what happened next was something I hadn't planned on. A few weeks before I was supposed to return to school for my junior year, I got in a very serious car accident. So serious that I was actually dead for a period of time before they were able to successfully revive me. It was crazy. I broke everything, had to have all these surgeries. They said the injuries were so extensive that there wasn't enough data to even make any kind of long-term prognosis. After what felt like a lifetime in the hospital, I was finally able to return home, but it was still a long time before I could even leave my bed and begin the arduous journey back to health. Although this was clearly the most surreal, and difficult time in my life. I had become possessed by an experience so profound that at that point I didn't even know how to begin to fully share it with others. During the time immediately after the accident I had what might be described as a near death experience. While language fails to encompass the exact nature of the feeling, the best description I can give is like being able to look in on what we experience as reality from the "outside", almost like one of those snow globes. From this vantage point it was easy to see that most of what we experience is an illusion, and time and space were merely "useful fictions". I could see every possible permutation and outcome, and all of history, and the future happening in an infinite matrix of simultaneous dimensions - all taking place in one eternal instant beyond time. I could see that the nature of this matrix was made of information, and that there was a source from which this information emanated. Most of all, I saw myself, as I was truly meant to be. The self that I recognized in my heart when I was 3-years-old, before I forgot. I saw that I had an important role to play, and that was to act as a bridge bringing the light and energy from this source into this reality through my art. I believe we are all here for a reason, and although I still had to go through hell to get back to health, everything was different. I knew it was going to be alright. I had found myself. 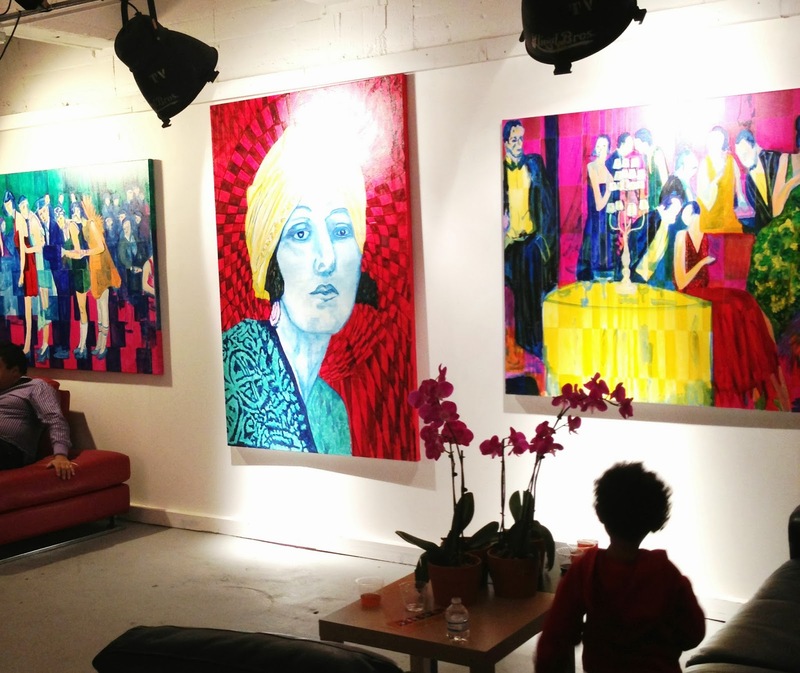 MIAMI ART SCENE: How does it feel to be known as a rising star within the art world? BEN MOON: I've been so blessed to have people in my life that have always believed in me, and been there to support me every step of the way. I think that's the part that doesn't get enough attention. It's so hard to make it these days. I know people with so much talent and promise, the tragic thing is that's not enough anymore. That person has to find some way to circumvent the system, some way to create the time and space to focus their talent, refine their thesis. Being an artist is like being a scientist conducting research. The momentary bursts of passion are part of it, but real art is more about a kind of stubborn persistence. Don't get me wrong, I'm loving every minute of being here. I know how far I've come, but I try not to dwell on that for too long. 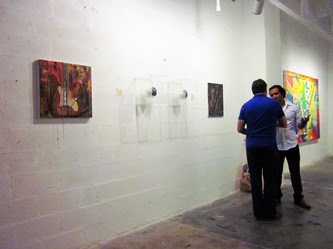 MIAMI ART SCENE: Which artists or creatives would you say have inspired you, your style or your work? BEN MOON: I've always been a huge fan of Warhol, but especially the group of younger artists around him such as Jean-Michelle Basquiat, Keith Haring, and Lou Reed, whose fusion of poetry, sound and image, has been perhaps the greatest influence on me. The direction my latest work has taken owes a tremendous debt to the "Plastic Inevitable", and early Factory Parties of the 196o's. I'm really inspired by almost everything. The less it's traditionally associated with "art", the better. 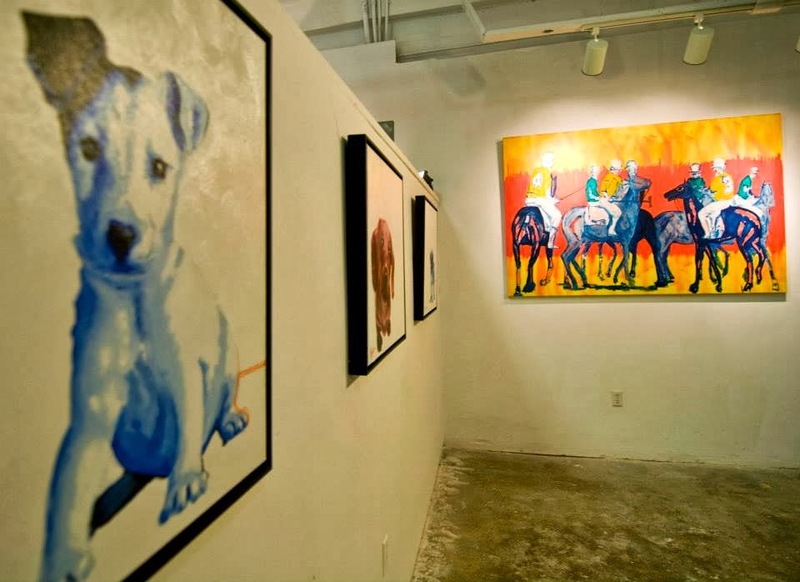 MIAMI ART SCENE: What tips do you have for art students and young, emerging artists out there? BEN MOON: It's not too late to change your mind while there's still time. If you have half a lick of sense in your head you'll reconsider the terrible, insensible, impossible life you are about to embark on. But if you're really an artist, you will ignore this advice, as I once did. 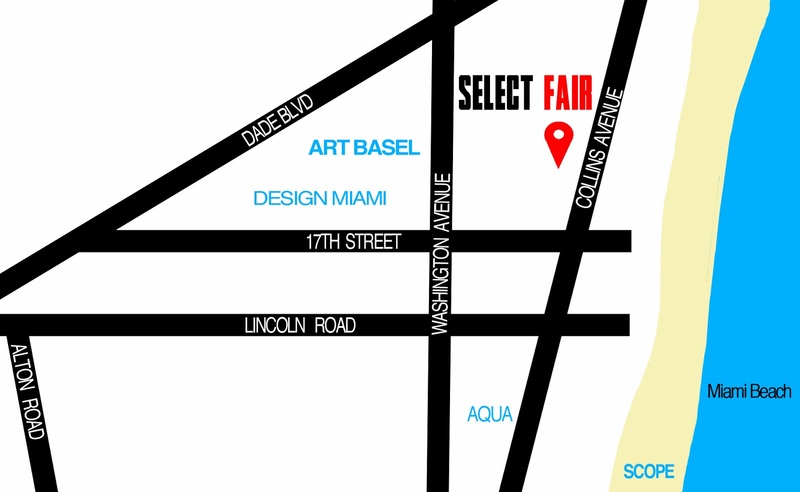 MIAMI ART SCENE: Which celebrity, musician, or well-known figure would you like to meet during this year's Art Basel Miami Beach and perhaps see purchasing your work? BEN MOON: I can't think of any celebrity that I wouldn't want to buy my work. 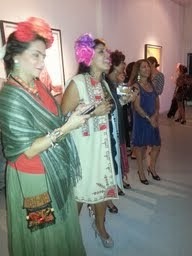 Part of what is so great about Art Basel, and Miami, in general, for that matter, is that everyone is so accessible. There seems to be a slightly more reasonable relationship between the press and the celebrities in Miami, more of a respect for boundaries. From what I'm hearing they're taking things to a whole new level this year event wise, so I'm sure everyone who's into the "art thing" will be buzzing around this week. It should be a lot of fun. 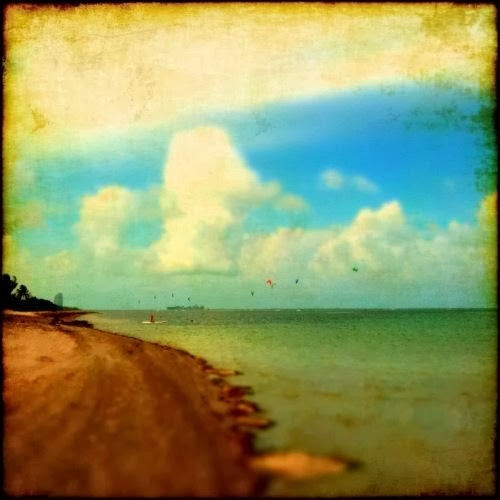 MIAMI ART SCENE: What is the best part about being an artist? BEN MOON: Besides this interview? The best part is that even if they may not particularly "like" you personally, people like the idea of the "Artist". It's almost like a "cowboy", this mythical figure who somehow embodies the values to which we, as a society, collectively value and aspire to. The lone hero out there on the frontier where few dare to tread. The self made man, who creates something out of nothing, and does it his way, on his time. The more these things recede into the realm of fiction and memory, the more we need the idea of "The Artist". MIAMI ART SCENE: Can you tell us what is on the horizon after Art Basel Miami - future exhibits, events or possible collaborations in the works? BEN MOON: Until recently, my creative output has generally taken place on the two simultaneous, yet parallel paths of painting/visual arts, as well as music and sound environments. My latest project called "Roklyfe" marks the ultimate realization of my lifelong dream of combining these two elements into one cohesive art form. Together with my creative partner Valentin Fuhrer, I've developed my own completely original art making platform, which allows the artist to "improvise" with "visual samples" in real time, the same way a Dj mixes different pieces of music to create a larger composition embodying the sum total of it's constituent elements. We debuted it at Charlotte Ronson's Party. I believe it's a real Gamechanger. 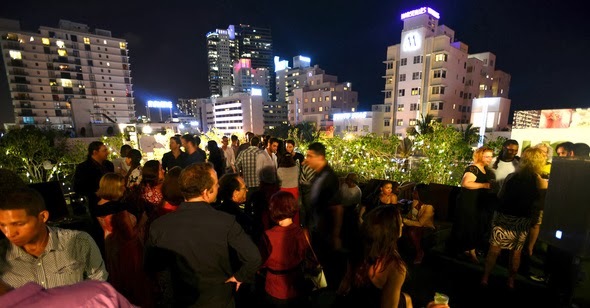 Join us for SELECT Fair Miami's rooftop Pre-Basel Bash at The Dorset Hotel in South Beach on Monday, Dec.2, 2o13 from 7-10pm. Presented by Jay Z's Life and Times and his Google+ Hangout Channel. 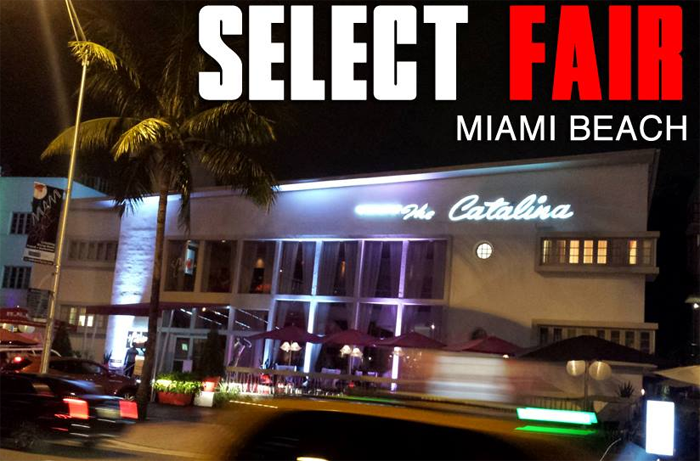 SELECT's rooftop Pre-Basel Bash is going to be legendary, this kick-off party will celebrate the fantastic mural by Greg Mike and the upcoming SELECT Fair Dec.4-8, 2o13 at The Catalina Hotel - 1732 Collins Avenue in Miami Beach, Florida 33139. Miami Night Drive Radio will be broadcasting live from the rooftop while complimentary Dusko Whiskey cocktails and Red Bull are served. 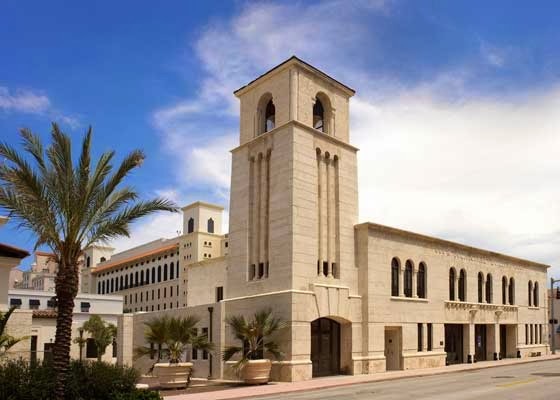 The Dorset Hotel is located right next to SELECT Fair at 172o Collins Avenue in Miami Beach, Florida 33139. RSVP here: Basel Basel Sign Up - space is limited! 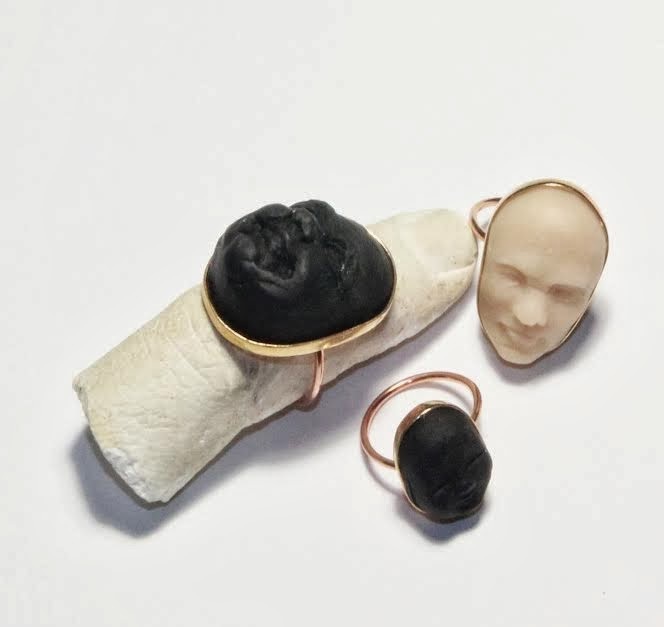 Miami-based artist Lucila Garcia De Onrubia is the creator of Deon Rubi, a refined yet playful brand of wearable art objects. The artist is debuting the latest collection of hand-crafted accessories at the opening of the new Perez Art Museum (PAMM) Gift Shop. 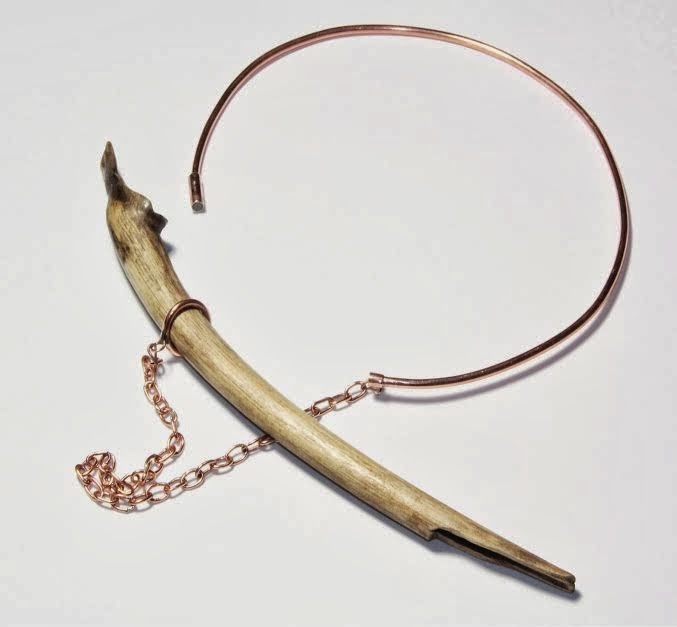 The inaugural gift shop collection will showcase Deon Rubi's jewelry, which is fabricated from up-cycled materials. The new collection offers limited edition earrings, unique bracelets, and necklaces for passionate patrons of the arts. Deon Rubi's pieces embody the fine traditions of jewelry from the edge of modern design. 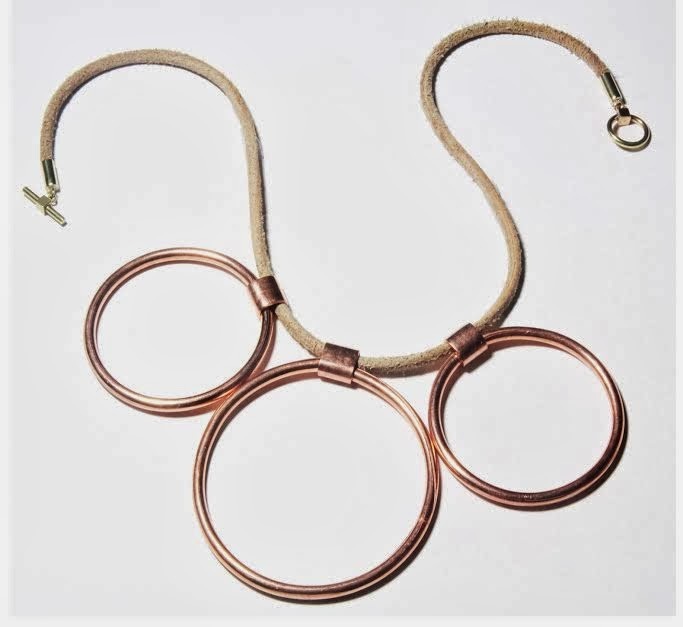 Throughout the evolution of the Deon Rubi brand, the artist worked with industrial scraps and other non-traditional materials to channel a unique style through jewelry as a medium. 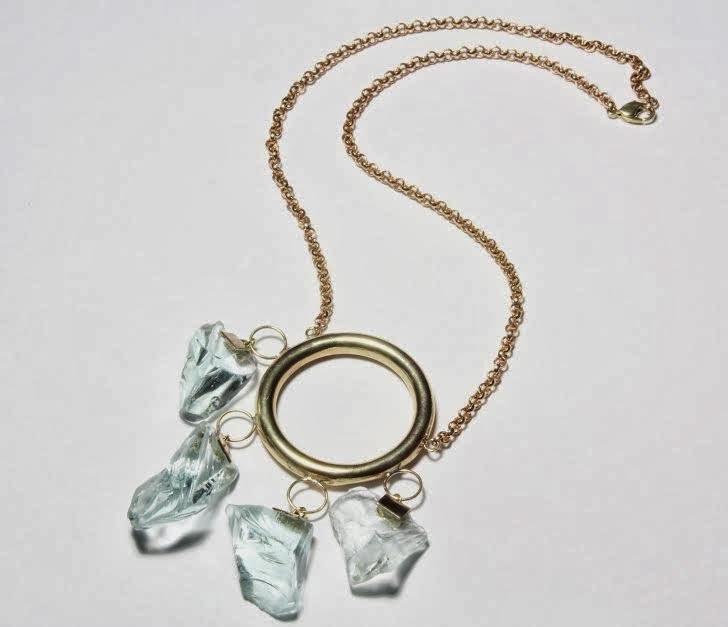 Similar to an alchemical process, raw materials are transformed from junk to jewelry in an impressive way. The artist plays with the sophistication of form as sculptural design while maintaining a handmade quality in her work. The Deon Rubi brand began in 2oo7 with a vision of turning trash into treasure. 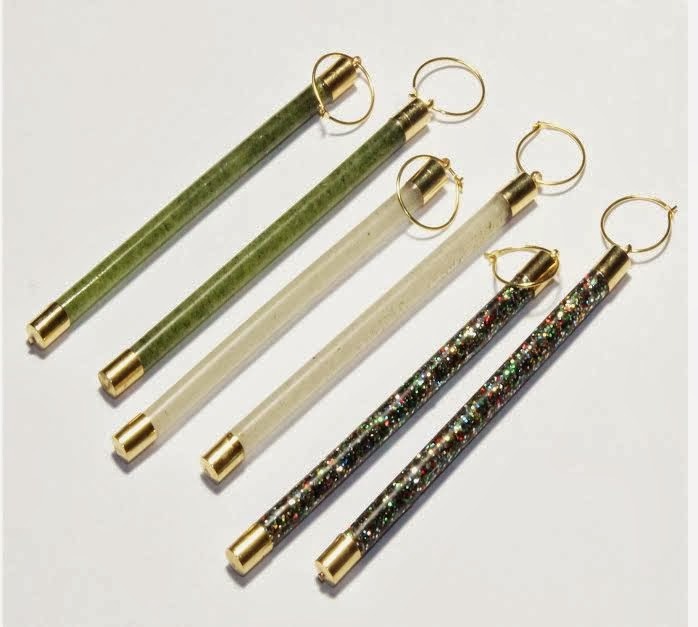 The artist believed that the concept of repurposing could go further beyond its usual DIY aesthetic, whereby Deon Rubi turned to reclaimed acrylic pieces to give recycled jewelry a modern feel. Through the use of clean lines, transparencies and geometric shapes, the first collection was born. These original, bold pieces became a brand basic and marked the path for Deon Rubi Jewelry. The brand's work ethics form the core of its design process, and challenge the way we relate to the earth and its resources. Deon Rubi is not naive to the possibilities of new technologies, yet finds it important to be on the front of preserving a handmade tradition that is an essential part of our nature. Visit the new Perez Art Museum during opening week's "PAMM Community Days" coinciding with Art Basel Miami, December 4-8, 2o13. The PAMM is located at 11o3 Biscayne Boulevard in Miami, Florida 33132. Miami-Dade residents receive free museum admission to the collection, exhibits, events and of course, the gift shop featuring Deon Rubi's conciously crafted wearable objects. Join us tomorrow evening on November 20, 2o13 at the Coral Gables Museum for an exhibit tour at 6pm and a panel discussion at 7pm. Enjoy a guided tour of the museum's current exhibit 'Concrete Paradise: Miami Marine Stadium' by Curator Rosa Lowinger, followed by an in-depth discussion on the evolution and significance of graffiti in Miami from the Marine Stadium to Wynwood, and the changing roles of this art form worldwide. 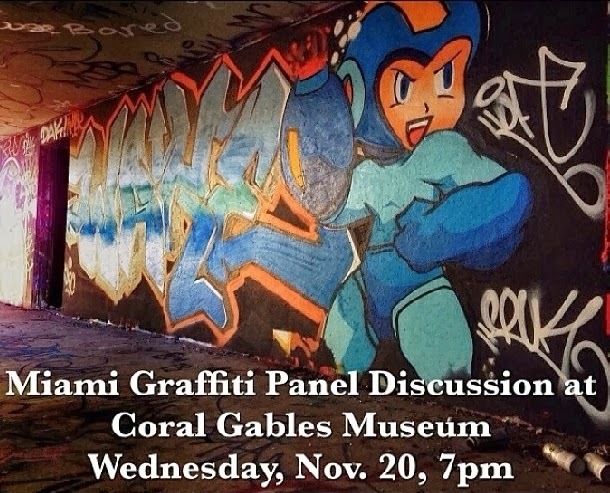 The panel will feature Miami-based graffiti artists Abstrk and Douglas Hoekzema, graffiti tour developers Martha Greenlee and Kit Sullivan, as well as graffiti impresario Craig O'Neill, and moderated by museum Curator Rosa Lowinger. This is a free event open to the public and there will be a cash bar to benefit the museum - 285 Aragon Avenue in Coral Gables, Florida 33134. McCormick Place is currently renovating it's 3rd floor to generate additional artist studios and creative work spaces in Downtown, Miami. The studios are design-ready and will be available in mid-December starting at $4oo/month - utilities, parking and WiFi included. The spaces are available to be seen and reserved on a first-come, first-serve basis, to schedule an appointment to view the 3rd floor studio spaces please contact Kat Wagner via email at: miamiartscene@gmail.com The building is an art & creative hub with many resident artists and art studios, it has an Art Gallery, which can be used for exhibitions and/or an event space - located at 111 SW 3rd Street in Miami, Florida 3313o. 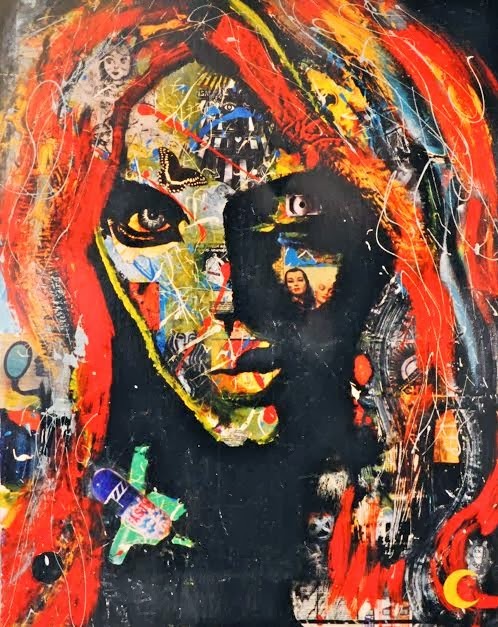 McCormick Place receives a tremendous amount of visitors during Downtown's First Fridays Art Walk & Gallery Night, which takes place the first Friday of every month from 6-11pm. Miami-based artist Lloyd Goradesky's Gator In The Bay is at the top of the charts, receiving worldwide attention and this is just the beginning. As we countdown to Art Week in Miami, Goradesky's Floating Tile Art pieces are expected to increase in value exponentially. There are 1o4 Floating Tile Art pieces that collectively make up Gator In The Bay, which will be on display at the Miami Yacht Club, Dec.4-8, 2o13 located at 1oo1 MacArthur Causeway in Miami, Florida 33132. The Gator In The Bay is an international sensation - the purpose of the project was to raise awareness for the Florida Everglades, and the purpose of the art is to show the cooperation between Industry & Nature. The media coverage for Gator In The Bay is beyond the norm, anyone who is anybody within the art world and art circuit is following the project every step of the way. The world's largest Gator is invading Art Basel Miami with a five day spectacular event beginning on Dec.1, 2o13 with a Ribbon Cutting Ceremony at the Las Olas Riverfront in Fort Lauderdale with Mayor Jack Seiler at 5pm. From this point the Gator will be traveling down New River through the Intracoastal Waterway and toward the Miami Yacht Club. At which time the Miami Yacht Club will be having an additional Ribbon Cutting Ceremony on Dec.3 at 3pm. with City of Miami Mayor Tomas Regalado and City of Miami Beach Mayor Matti Herrerra Bower. On Dec.4 from 8am-10pm the Gator In The Bay will be open for public viewing while the Floating Art Tiles are displayed on the shoreline of the Miami Yacht Club. The next day on Dec.5, the tiles will be assembled to the head of the Gator and float on Biscayne Bay at the Miami Yacht Club, with the exception of the last two tiles (1o3 & 1o4). The lighting of the Gator will take place on Dec.6 and the remaining two tiles will be assembled to complete the Gator for the lighting phenomenon. Then on Dec.7, Gator In The Bay 'swims' towards Downtown Miami and back to the Miami Yacht Club for celebration activities. Dec. 8 will be the last day to see the Gator In The Bay assembled, the Floating Art Tiles will be disassembled at 6pm. and prepared for sale. 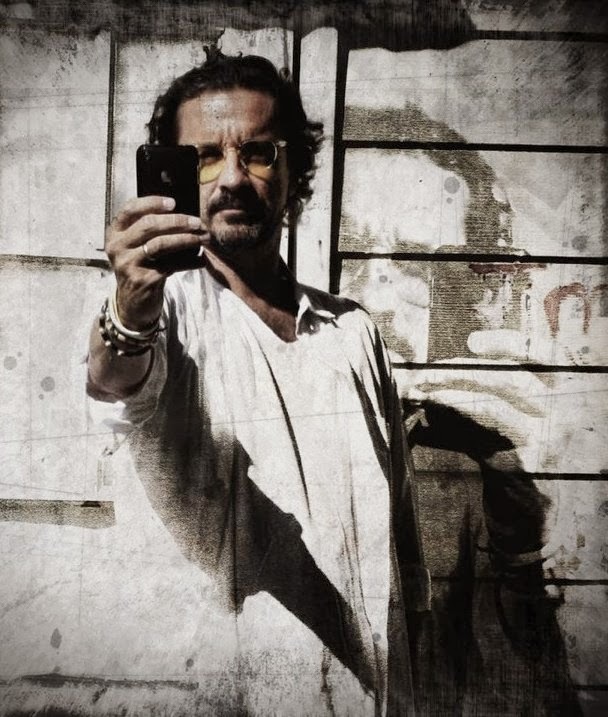 Join us for Miami-based iPhoneographer Jaime Ferreyros' exhibit 'Never, Neverland' on November 21 at Gallery 2o14 in Downtown, Hollywood. 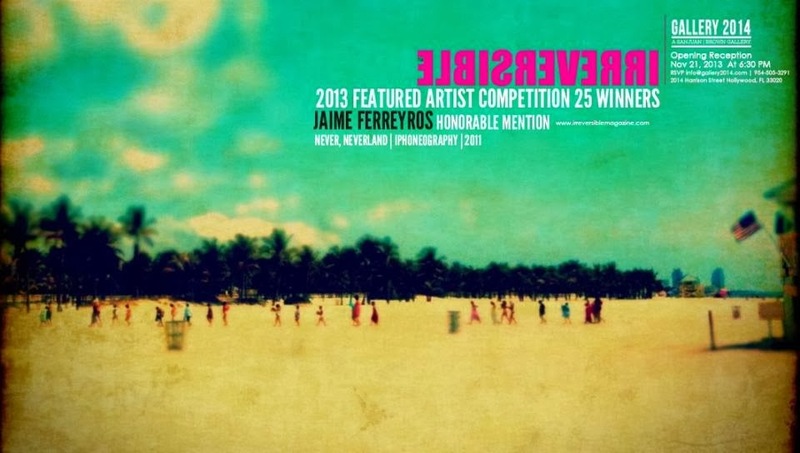 Opening Reception at 6:30pm, this exhibit is hosted by Irreversible Projects, showcasing winning artists and artwork from their 2o13 Competition. 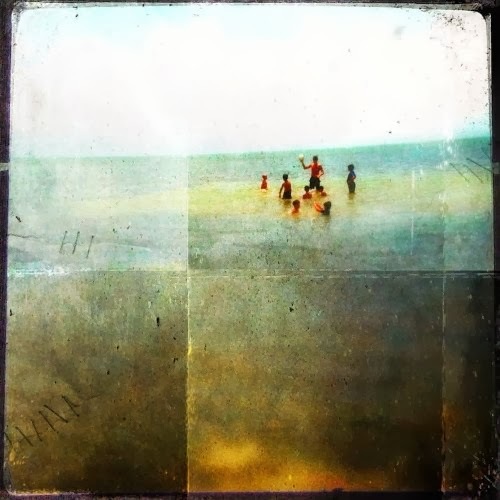 According to Ferreyros, "iPhoneography is the art of taking pictures and editing them on your iPhone, you're basically carrying a camera and a darkroom in your hand. 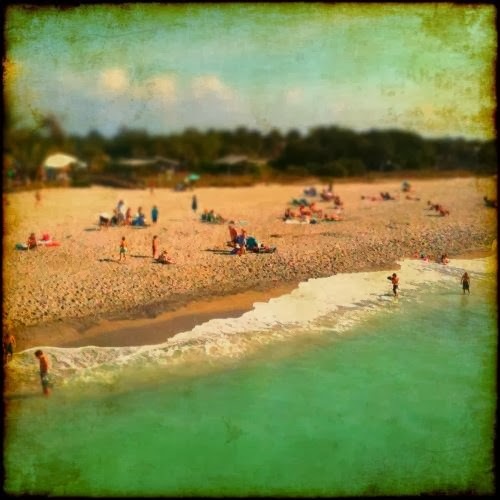 All my pictures are taken and edited with an iPhone 3GS and sometimes I even make calls with it." 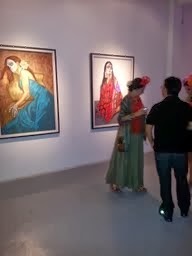 The exhibit will take place at Gallery 2o14 located at 2o14 Harrison Street in Hollywood, Florida 33o21. 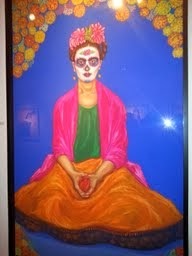 Artist Yvonne Pfeiffer's exhibit 'Calacas Reinvented' at the Brisky Gallery was a lovely evening of art with an introspective into the female emotion. 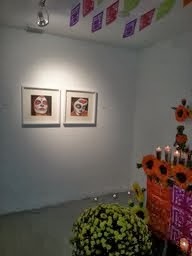 The viewer received a window into the Day of the Dead celebration, which features skeletons garnished with flowers and bright colors. 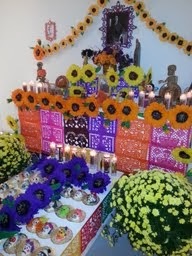 This celebration derives it's origins from pre-Columbian America - the Aztecs revered Mictecacihuatl, a goddess watching over the dead, while the Mayan Lords ruled over Xibalba, the underworld. Their clash with Spanish Catholicism evolved into hybrid traditions, where these skeletons, 'Calacas', adorn alters and the painted faces of women. This skull imagery is an attempt to humor death and yet, in it's absence, life's worth would be profoundly curved. Oddly enough, a "celebration of death" is but a celebration of life; this compendium of emotions validated by the great equalizer. 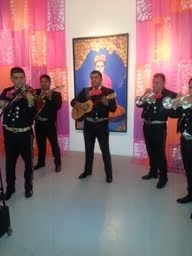 Second to the stunning Calacas artwork was the Frida Kahlo contest and we loved the Mariachi performance too - it was a spectacular evening. 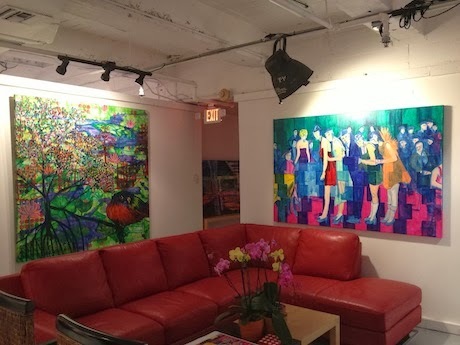 You can view the work of Yvonne Pfeiffer on display at Brisky Gallery located at 13o NW 24th Street in Miami, FL 33127 in the Wynwood Arts District.